I'd like to remove the DRM protection from a couple of my EPUB eBooks, just for PERSONAL USE (since they are locked, I cannot read them). They are protected by the Adobe ADE DRM. The EPUB format is the most widely used format in eBook market, supported by the largest number of eReaders. Adobe Digital Editions also uses .epub format for its eBooks. Theoretically, these Adobe EPUB books can be read on any EPUB-supported device. However, you will find it troublesome when you try to copy or backup these eBooks to other devices. Why? Because Adobe encodes its eBooks with DRM protection provided through their proprietary ADEPT mechanism, which prevents people from copying, sharing or printing. To the extent that the DRM protection largely restricts people to read Adobe eBooks freely. Here comes the question: is there any way to get rid of the Adobe DRM protection? Or in other words, is there any way to remove DRM from protected Adobe EPUB files so that you can copy and share them freely? The answer is definitely yes. 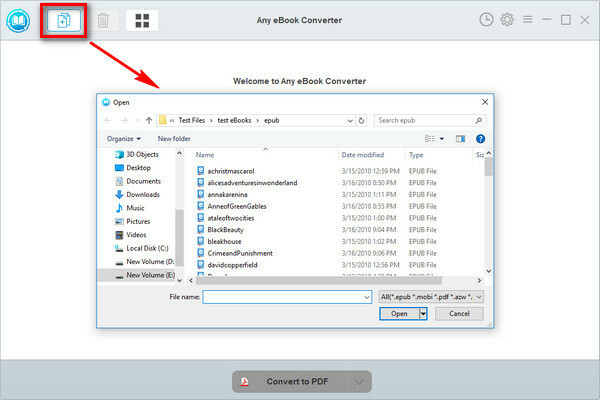 In this post, we'll share an all-in-one eBook converting tool to help you remove DRM from protected Adobe EPUB files with ease. To unlock the DRM restriction of Adobe eBooks, a powerful Adobe DRM removal tool is necessary. 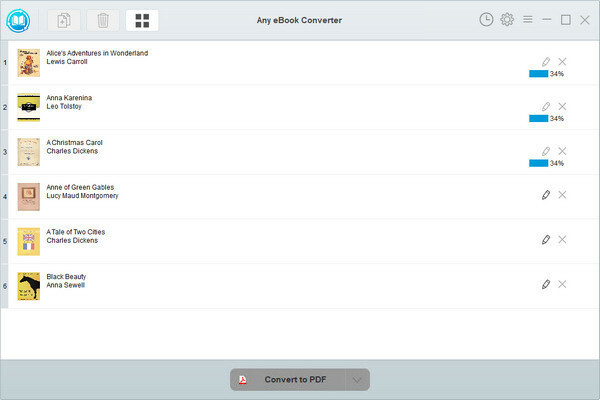 Here you are recommended to use Any eBook Converter. It is a professional Adobe eBook tool that can help you read Adobe EPUB eBooks on many devices without restriction. It's based on an easy-to-use interface and can quickly remove DRM from Adobe EPUB eBooks while converting them to other common formats including PDF, TXT, MOBI, AZW3 and KFX. In addition, Any eBook Converter also supports removing DRM from DRM-ed Kindle, Kobo, Nook eBooks and converting DRM-free eBooks to more formats. 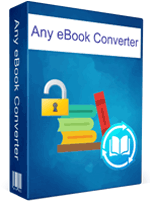 With this powerful eBook Converter, you can read eBooks anywhere you want to make eBook reading a facile enjoyment. Any eBook Converter enables us to remove DRM from Adobe EPUBs with three simple steps, and below is a demonstration of the whole process. Before we get started, please have the program well installed on your computer. Click "+" button on the upper left and there will be a pop-up window allowing you to browse and upload the Adobe books that you want to remove the DRM from. Click “V” icon on the bottom and select an output format - PDF, for example. By clicking the “Settings” button on the upper right, you can customize the output path for the converted books. 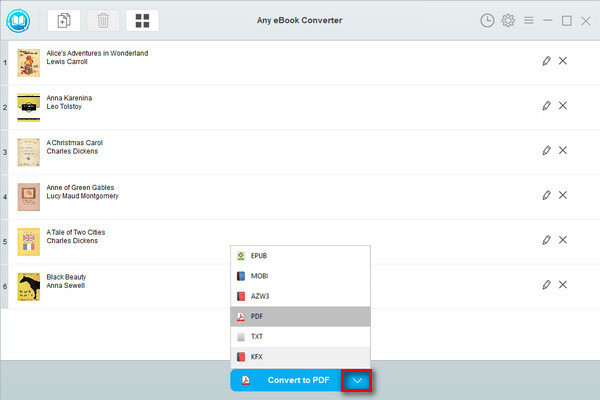 Click "Convert to PDF" button to start converting your Adobe books to DRM-free PDF format. Now you've got your DRM-free Adobe books, you can easily read them on more devices, print them out, or share them with your best friend, etc.